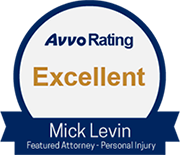 The attorneys at Mick Levin, P.L.C. have extensive experience representing clients in prosecuting the State of Arizona when it fails to keep its streets and highways reasonably safe for travel. At our law firm, we can help you determine if injuries were due to a dangerous condition neglected by the State of Arizona when it failed to take reasonable steps to fix a known dangerous condition. If you're unsure of whether or not you have a claim, we invite you to speak to one of our personal injury lawyers at a free, no-obligation initial consultation. What are State Liability Claims? The State of Arizona has a duty to keep its streets and highways reasonably safe for travel. That duty includes fixing dangerous conditions permitted by the State of Arizona to continue in existence. The State is liable when the State knows of a dangerous condition and fails to take reasonable steps to fix that condition. Victims of the State's failure to take reasonable steps to fix a dangerous condition are entitled to compensation for their injuries. State liability claim cases are subject to a time limit known as the "statute of limitations." In Arizona, such a case must be filed within two years of the injury or property damage. If you or someone you know has suffered from an state liability claim in Arizona, please call our lawyers at Mick Levin, P.L.C for a free consultation and to discuss the ways in which we may be able to help you through a difficult time.